So I got photo-bombed (sort of) … but it turned out well! 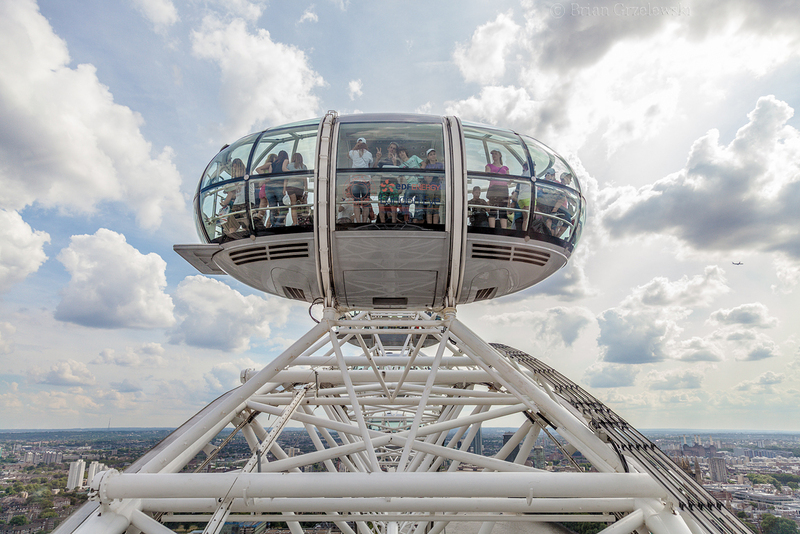 Just in case you didn’t know, the London Eye is a giant Ferris wheel that offers great views of the city. It’s the most popular tourist attraction in the United Kindom. I was taking lots of pictures – including one of Parliament (http://adventureswithandrea.com/2013/08/london-parliament/). I took this photo of one of the pods and a couple of kids decided to make themselves the focus. Ok – cool. The Eye is all about tourism anyway. (You’ll see a bigger version here – http://www.briansart.com/Locations/London/i-mwvDxjh where you can see the two guys giving the peace sign). This entry was posted in London by Brian. Bookmark the permalink.